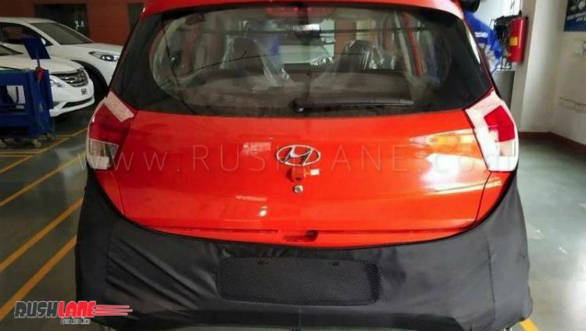 The upcoming Hyundai Santro, also known by its internal codename, AH2, has been spotted undisguised ahead of its launch on October 23. These pictures reveal significant details about the highly anticipated entry-level hatchback. The car will sit between the Eon and Grand i10 in the company's line-up and will carry a similar design language with strong lines, LED DRLs and the full-face grille seen on the facelifted Grand i10. Like the updated Grand i10, the new Santro gets black inserts in the bumpers. It will be based on the current Grand i10's underpinnings. Other design traits include the angular, swept-back headlamps and relatively high-mounted foglamps. The front grille, along with a black insert dominates most of the car's front fascia. The rear seems a cross between the Eon and the Grand i10, with large taillamps, prominent bumpers and wide boot opening. 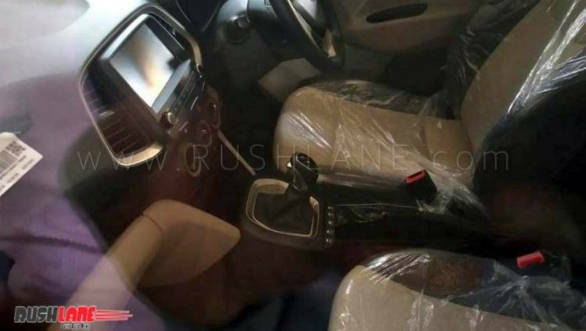 The most striking feature of the interior is the large touchscreen which dominates the centre console, there is a high-mounted gear-lever like in most Hyundai small cars, rear AC vents will also be a segment first feature on the new Santro. A notable design element is the large circular side-AC vents. While there is no official confirmation yet, we expect the new Hyundai Santro most likely be powered by the 1.2-litre petrol from the Grand i10, this is pretty much the norm in the segment. Hyundai will debut a five-speed AMT version as well, given the increasing popularity of automatics. We expect the new Hyundai Santro to be priced in the 3.5 lakh to 4.5 lakh rupee price bracket. 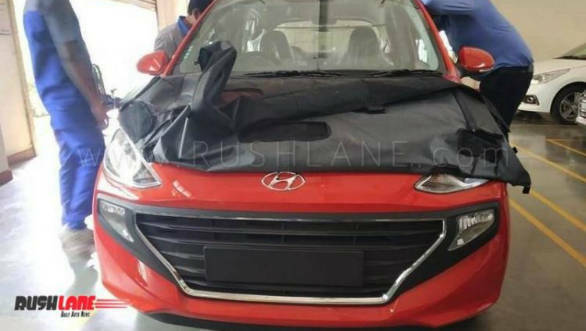 Given Hyundai's penchant for offering features and in keeping with upcoming government regulations, we also expect the new Hyundai Santro to come loaded with equipment like airbags, ABS and EBD, seatbelt reminder, speed warning system, reverse parking sensors and speed sensing door locks.